I honestly couldn't tell you the last time I got excited over a M.A.C collection. So much so that I was scrambling over myself to order it on my very smashed iPhone. More haste, less speed and all that. M.A.C teamed up with four women that they see as shaping the future of the music industry to create an exclusive limited edition and online only collection. Those being Tinashe, Halsey, Dej Loaf and Lion Babe. 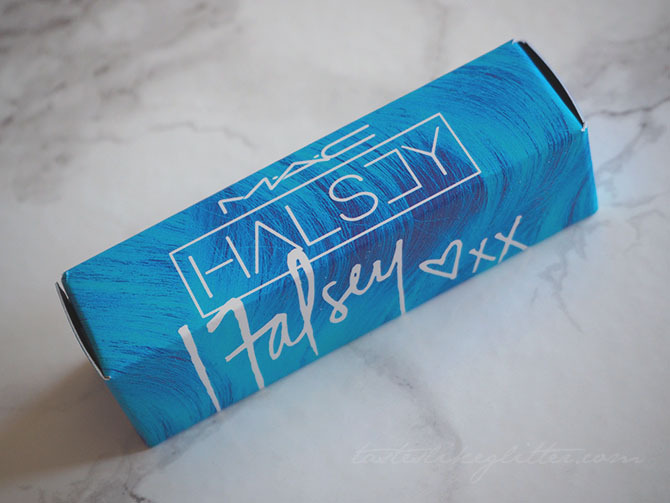 As soon as I heard about Halsey I knew I wanted it. She's very 'out there' in both her music and style. Her trademark colour is blue and she opted for a different take on it, something that is unlike anything that regularly crops up in the makeup world. 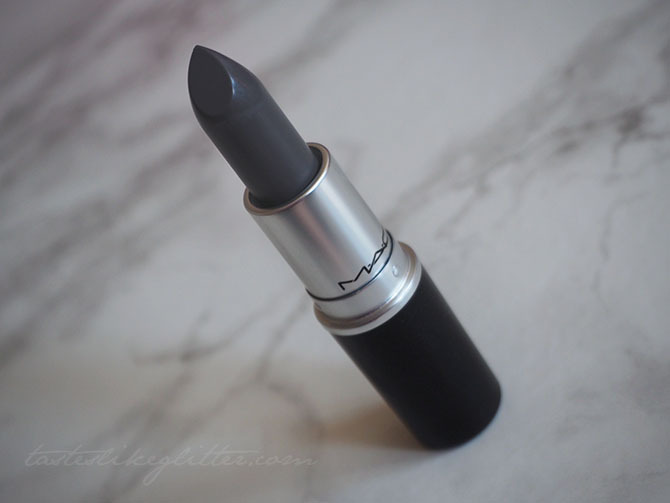 Halsey is described as a grey with a matte finish. It's a medium-dark grey with a slight blue undertone. I find the finish to be more like a M.A.C satin rather than a matte, meaning it's a little creamier but ends up wearing down to a comfortable non-drying matte after a little while of wearing. As for application, it glides over the lips with opaque coverage. It lasts for around four hours on me. Whilst eating and drinking it tends to just wear away in the middle, making for an easy reapplication. M.A.C posted on their Snap Chat about layering Halsey over various lip liners. I love the look against Nightmoth which can be seen here. It was an online exclusive which has since sold out but I thought I'd post about it just incase something similar comes up in the future. I'm excited to see what looks I can create with this though.